Welcome to the award-winning BE THE MEDIA Radio show! 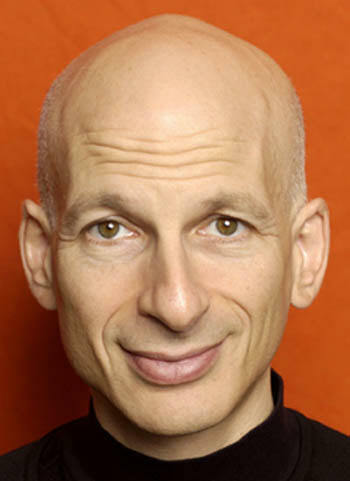 Join host David Mathison as he interviews leading thinkers and practitioners of independent media, such as author Seth Godin, singer Jill Sobule, craigslist's Craig Newmark, Wikipedia's Jimmy Wales, Wired co-founder Kevin Kelly, Internet Marketer Joel Comm, and Woodstock creator Michael Lang. Our show recently won the Small Business Trends Top 100 Best Small Business Podcasts of 2010 award, along with the Wall Street Journal, the New York Times, the Economist, TIME, CNN Money, Business Week, the BBC, Kiplingers, Ernst & Young, Leo Laporte, and Robert Scoble. We normally air Wednesdays at 5pm ET. The show is on sabbatical. To chat with us live during the show, or view upcoming shows, go here. Click here to listen to our shows via Apple’s iTunes or your iPod. Seth Godin and Scott Stratten: Dubbed "America's greatest marketer," Seth Godin writes the world's most popular marketing blog, and is author of 11 bestselling books including Tribes, Purple Cow, and Linchpin. Scott Stratten writes a popular blog and is the author of UN-Marketing. His viral videos have been viewed over 60 million times. Learn how they virally spread their ideas by leveraging the "Be The Media" crowd - podcasters, bloggers, social media experts, etc - and how YOU CAN TOO! David Meerman Scott and Sam Horn: Create an intriguing message to get the attention of readers, journalists, TV/radio producers, conference planners, and event bookers. 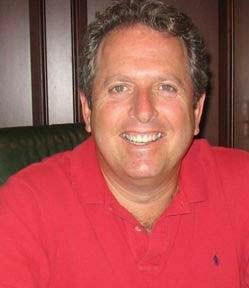 David is author of the bestseller The New Rules of Marketing & PR. Sam is author of six books from major publishers, including POP! Create the Perfect Pitch, Title, and Tagline for Anything, which teaches you how to interest anyone in anything in 30 seconds. Title Wave! with Robyn Spizman, Elizabeth Bryan, and Hartford Brown, Esq. : Today we discuss how to create unique and memorable titles, products, and events, and the importance of legal advice when negotiating licenses for your properties. 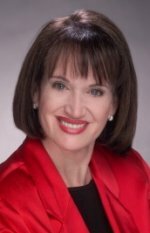 Guests include NY Times best-selling author and Vice President of Communications for A Legendary Event Robyn Spizman, "Soul Models" author and Chicken Soup for the Soul's "Count Your Blessings" co-creator Elizabeth Bryan, and Hartford Brown, Esq. 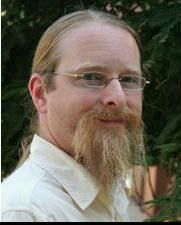 Shel Horowitz: Guerrilla Marketing Goes Green: Can your business make the world a better place? Can you improve the earth, your profits, and your customer base all at the same time? Shel Horowitz says YES: "It’s grounded in integrity, in caring about yourself AND in caring about others and the world around you—and it’s the fast track to business success in the 21st century." Join us as Shel explains how his new book, Guerrilla Marketing Goes Green, will teach you that GREEN IS GOOD! 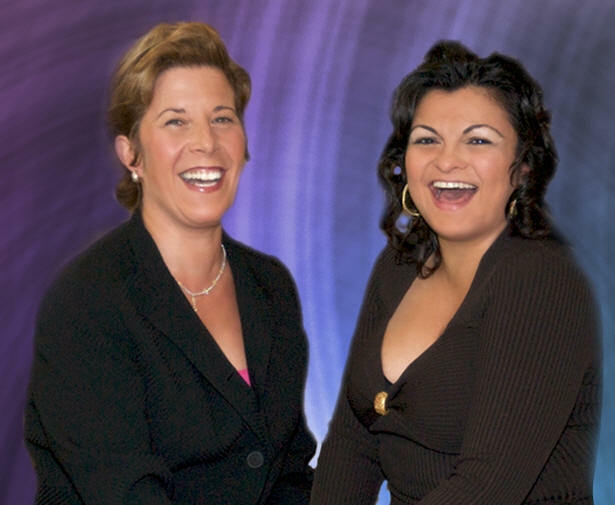 Dr. Joni Frater and Esther Lastique: With a majority of marriages in the US destined to fail, many couples want to know how to make their relationship last a lifetime. Joni and Esther's new book, Love Her Right, is a fresh look at everyone’s favorite subject - from a unique perspective. We discuss communication, romance, seduction, and very specific information on techniques to put the fire into your relationship. 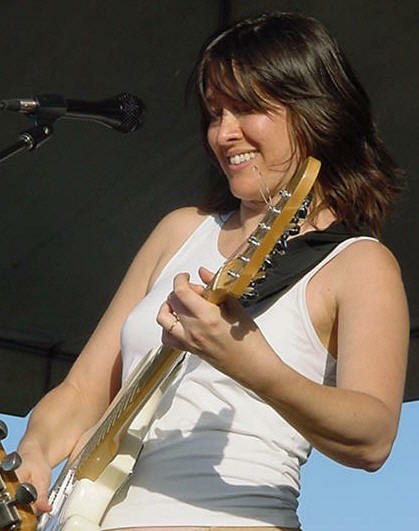 Michelle Shocked and Chuck Leavell: An artist rights pioneer, we explore Michelle Shocked's mid-1990s case in which she sued her label, and won, citing a violation of the 13th Amendment, the right that prohibits slavery. Chuck Leavell has played piano for the Rolling Stones, the Allman Brothers, and Train. An environmentalist, tree farmer, and author of The Tree Farmer & Forever Green, he's co-founder of the Mother Nature Network. 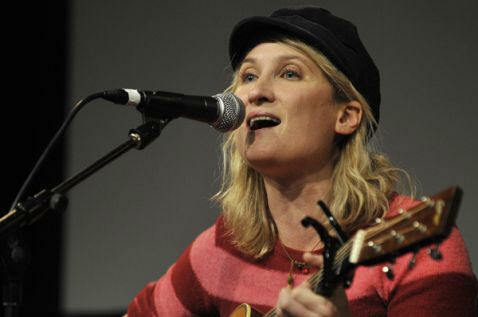 Jill Sobule: Singer-songwriter: Jill Sobule has released seven studio albums of original music, and is featured in the Foreword, Intro, and Music chapters of Be The Media! We explore how Jill raised $89,000 via fan donations to create her new studio album, California Years. Hear how Jill built and maintains her engaged fan base. Our co-host is Bob Baker, an author, indie musician, and former music magazine editor. Terry McBride: CEO Nettwerk Music Group; co-founder Lilith Fair: Since 1984, Nettwerk's artists such as Sarah McLachlan have released 500+ albums and sold 150 million copies. We discuss the future of distribution, Nettwerk's new Polyphonic, which invests directly in artists, the return of Lilith Fair, and the I4C Campaign, which gives a portion of ticket sales to non-profits and green initiatives. Co-hosted by Bob Baker, an author, indie musician, and former music magazine editor. 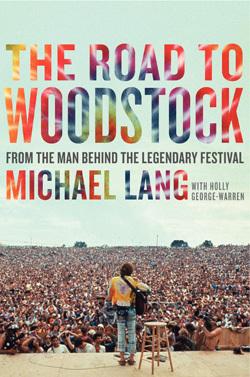 Michael Lang: The Road To Woodstock: Woodstock producer Michael Lang talks about his new book, The Road to Woodstock. It's a backstage pass to the challenges in creating this historic event. The show itself is a 3-hour epic, with guests Wavy Gravy, singer Country Joe McDonald, photographer Barry Levine, Max Said Yes author Abigail Yasgur, director Michelle Esrick, and Unity Foundation founder Bill McCarthy, sharing their personal stories. Shana Morrison, Kim McLean, Devon O'Day, and Eve Selis: Shana, Kim, Devon, and Eve have forged solid indie music careers by combining a love of story writing with electrifying live performances. They joined forces to create the Hippie Chick Twang Shebang. Live from Nashville, TN, we explore their indie music success, and they premiere their new song "One Less Monkey," which is featured on Shana's new CD, Joyride. Alan Levy: CEO, Blog Talk Radio: In this premiere episode of BE THE MEDIA radio, we interview Blog Talk Radio founder and CEO Alan Levy about his reasons for starting the company, and the revolutionary impact of Blog Talk Radio on freedom of expression. Alan reviews some of the features of the platform, and shares ways to get your show featured. I give tips on how to attract listeners and sponsors. Kevin Kelly: What Technology Wants: Bestselling author Kevin Kelly's new book, What Technology Wants, introduces a provocative view of technology, comparing it to a living, evolving organism that has its own unconscious needs and tendencies - even a drive towards sentience. The book is an optimistic look at how humanity and technology join together to produce increasing opportunities. 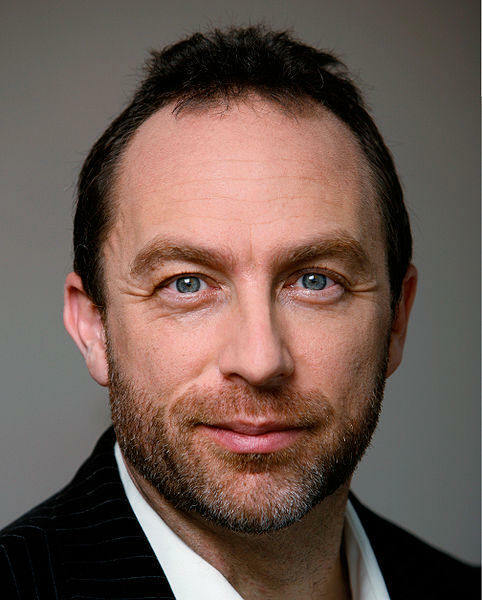 Jimmy Wales: Founder, Wikipedia: Jimmy Wales is the founder of Wikipedia, the world's largest encyclopedia. In 2006, Time named Wales one of the world's most influential people. Learn how Wales built the community of editors, developers, engineers, and user/contributors. Co-hosted by JD Lasica, co-founder of Ourmedia.org, founder of Socialmedia.biz, and author of Darknet: Hollywood's War Against the Digital Generation. Craig Newmark: Founder, craigslist: In this interview we speak with Craig Newmark, who founded craigslist in 1995 as a non-commercial community bulletin board with classifieds and discussion forums. We explore how craigslist strives to make the Internet more personal and authentic, while advocating social responsibility. We are joined by Andrew Nachison and Dale Peskin, co-founders of the We Media conference. Joel Comm: KaChing! How to Run an Online Business That Pays and Pays: In this episode, NY Times bestselling author Joel Comm discusses his new book, KaChing: How to Run An Online Business That Pays and Pays, which teaches you how to start your own online business. Joel is also the author of the NY Times Best-Seller, The AdSense Code and Twitter Power: How to Dominate Your Market One Tweet At a Time. Peter Broderick, Joel Bakan, NY Times columnist Scott James: Explore the "Brave New World of Distribution & Promotion" via Peter Broderick's manifesto, Ten Principles of Hybrid Distribution. Guests include Joel Bakan, author/producer of The Corporation, Kat Dodds, NY Times columnist Scott James (aka Kemble Scott, whose SoMa was the first novel launched using YouTube videos), and Donald Goldmacher, director of Heist-The Movie. Facebook TuneUp and Q&A: David Mathison and Noah Kagan (Facebook's 30th employee), field listener questions on changes to the platform, protecting online privacy, and fan, profile, and group page tune-up. Mathison was featured in the NY Times after pre-selling 5,000 books to one new Twitter follower in just 11 days. Enroll in our Facebook, Twitter, and LinkedIn courses. Join our Be The Media group and David Mathison fan pages. Twitter TuneUp and Q&A: Learn how to build a base of active and engaged Twitter fans. Hear how David Mathison was featured in the NY Times after pre-selling 5,000 books to one new Twitter follower in just 11 days, how he uses Twitter to brand himself, how he got over 28,000 fans, and how they helped him sell out an event in 3 days using Twtvite. Enroll in our Facebook, Twitter, and LinkedIn courses. Follow us on Twitter. LinkedIn TuneUp and Q&A: Want to learn how to create a powerful LinkedIn profile to attract opportunities, partners, and clients? How to enlist a quality network? How to build your reputation as an expert in your industry? How Mathison's LinkedIn profile netted him an invitation to join the board of directors of a social network for entrepreneurs, which gained 850,000 members worldwide in 2 years? Tune in, and join our LinkedIn group! Mickey Huff: Executive Director, Project Censored: Live from Diablo Valley College, we speak with Associate Professor of History Mickey Huff, Executive Director of Project Censored and Director of the Media Freedom Foundation. Project Censored teaches students and the public about the role of a free press in a free society - and to tell the News That Didn't Make The News and Why. You can buy the book from Project Censored's website. 07/28/2010: Title Wave! with Robyn Spizman, Elizabeth Bryan, and Hartford Brown, Esq. Join your host David Mathison in this interactive, participatory program! David Mathison is founder and Managing Director of the Digital Media practice at Chadick Ellig, a premiere executive search consultancy named by Business Week as "one of the world's most influential headhunters." 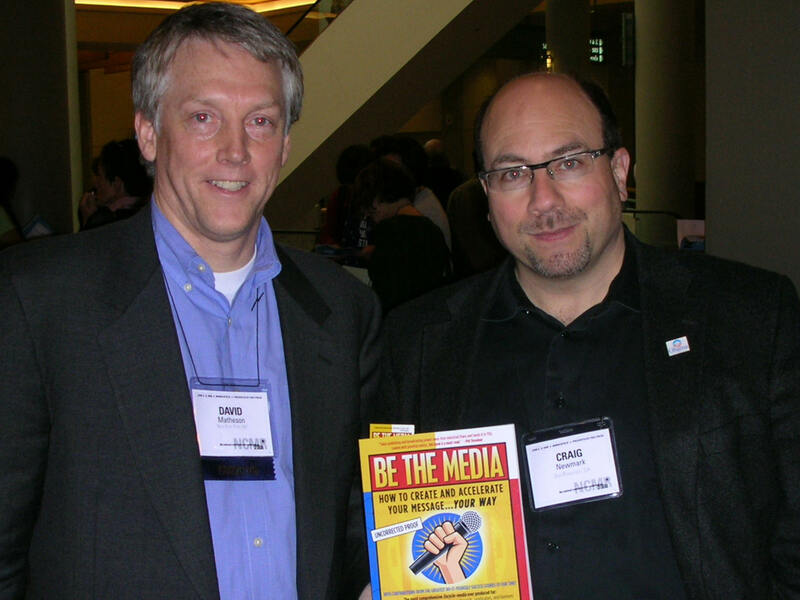 Mathison's book, BE THE MEDIA, was featured in the NY Times after he pre-sold over 5,000 copies in 11 days via his web site, Twitter, and Facebook. He has given keynote presentations everywhere from Columbia University to the United Nations (3 times in 2010), from Amsterdam to Zagreb. 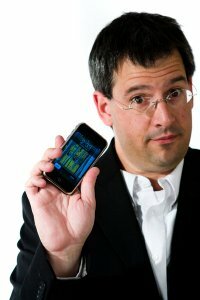 He is host of an award-winning radio show whose guests have included author Seth Godin, Wired co-founder Kevin Kelly, singer Jill Sobule, craigslist’s Craig Newmark, and Wikipedia’s Jimmy Wales. From 1999-2001 he was founder and CEO of the Kinecta Corporation where he raised $30 million in under 2 years. Kinecta was acquired and is now part of Oracle (NASDAQ: ORCL). From 1994-1999 Mathison was Vice President with Thomson Reuters, the world’s largest news agency, where he pioneered online content syndication. 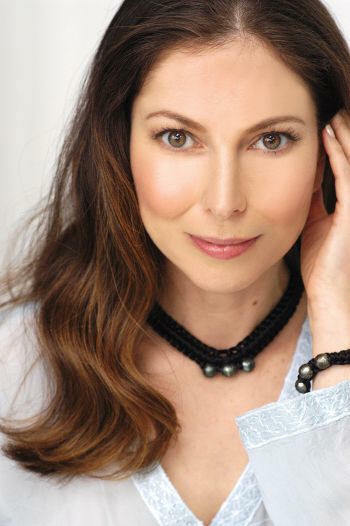 Mathison is the founder and Executive Producer of Home Aid, an annual campaign and event to benefit America's homeless. He serves on the Board of Directors for Home Aid America and Speakers Without Borders, an international non-profit created to support professional speakers who are committed to inspiring the human spirit in under-served communities though the power of the spoken word. Mathison served on the Board of Conveners for the Marin Community Media Center (San Rafael, CA), the Board of Directors for WebHood (Cambridge, MA), the Media Freedom Foundation (Sonoma, CA), and the Mountain Play Association (Mill Valley, CA). He is a Deacon at Westminster Presbyterian church (Tiburon, CA). 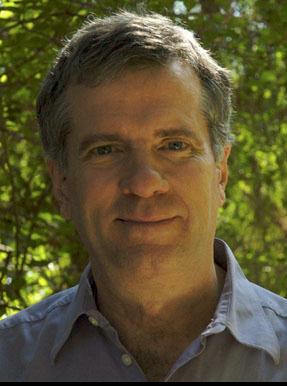 Mathison earned his Masters degree from Columbia University in 1995.